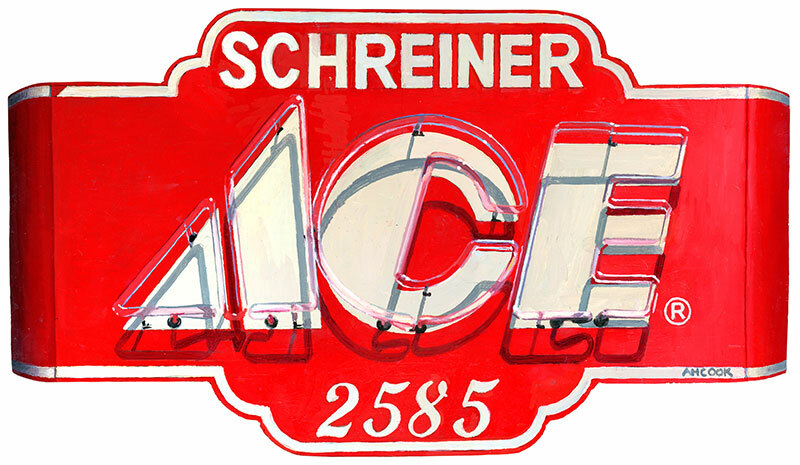 My oil paintings are typically presented in a traditional format and depict scenes containing neon signs. However, the paintings include the atmosphere which the signs stand. In the series of five paintings created for the Greater Columbus Convention Center, I have taken each sign out of its atmosphere, and consequently out the frame of a four-sided panel.Â I captured the reference photographs around noon-time, so that the painted cast shadows of the painted tubing would fall at the same angle as the actual cast shadow of the completed piece when displayed. In doing so, the illusion is realized as the paintings are displayed for viewing.